Let’s take a closer look at the updates and what they mean for DECENT Network. The first and perhaps most important part of this update is great for those of you who demand better security for your GO wallet. Please welcome Google Authenticator as an optional 2FA (2 factor authentication) protocol. You can add this to your account in the security settings after logging in to DECENT GO. Then choose enable 2FA and follow the on screen instructions and rest easier knowing your DCT is better protected. A handful of users have been experiencing 0 balance issues, even though their accounts are showing a healthy DCT balance. This update should address these issues, but perhaps more importantly, moving forward if these errors persist or new issues arise the system will return error messages to enable our devs to locate the source of the issues and take appropriate action to get you up and running much faster. There are also a number of other UX improvements warnings or error messages such as minimal balance notification, when for example a user tries to transfer an entire balance without reserving the transaction fee. DECENT users can now find user addresses readable in the list of transactions. Please remember that DECENT GO is still in beta so issues are bound to pop up. 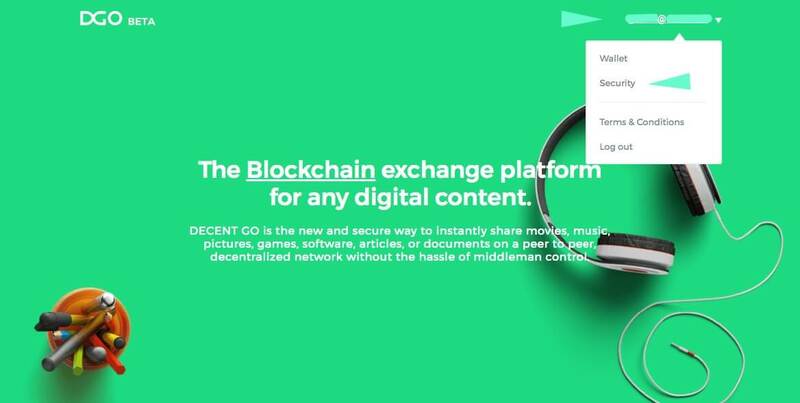 Continue to send us your suggestions and experiences with DECENT GO, we want to build the best tool possible for you but that can’t happen without your feedback.